Bern is the capital city of Switzerland. The old part of the city is really amazing, packed with well preserved medieval buildings, like in the photograph above. Basically is like traveling in time a few hundred years ago! Due to the hugely important historical heritage found here, the old city center has been declared a UNESCO World Heritage Site in 1983. 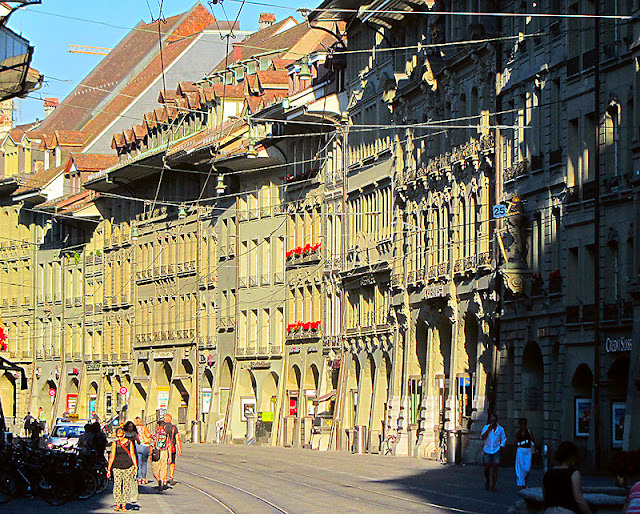 Moreover, Bern is nicknamed "the city of fountins" because it has more than 100 public fountians, and many of them date back a few centuries ago.